Yes, those are girls eating giant taiyaki. While eating a taiyaki that size is impressive, they eat a bunch of other things too! They are Japan's Big Eaters (大食い). I don't remember what I was watching but it made me remember an old video I watched a long time ago. It was of a Japanese girl who ate a lot of something (I don't even remember what she ate). I don't know what these people were called in Japanese so I tried to search for "Japanese Food Fighters" on Google. Nothing useful to me turned up on that search, so I gave up on it. I searched again on Youtube but got a bunch of shortened clips with English titles. I knew that the full version of these Japanese shows was somewhere on Youtube but they had Japanese (or Chinese) titles. So if I didn't know what they were called in Japanese, I would never find them. I watched a bunch of these shortened clips and finally found the word I was working for! 大食い or "Oogui". Searched for that on Youtube then lo and behold a whole bunch of videos turned up. So, what is an "Oogui"? Below is an Oogui called Moe. Yes, Moe. See that plate she's holding? She ate all of it. Yes, all of it. Yes, she is still that tiny. Moe was once the Oogui Queen in Japan. It's a title that is given to many different people every year. I'm not sure exactly if it's an official title or just a title given to them on the show they were on. But there is definitely a certain pride you see in these big eaters. Especially when they're pitted head to head against each other in an eating contest. 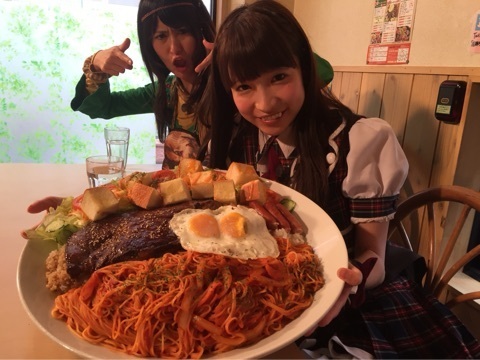 That girl behind Moe is Angela Satou another big eater. She held the title of Oogui Queen for a while too. She can put away up to 6.4kg of food in one sitting! Even while competing in various eating competitions and appearing in variety shows, Angela Satou has also started her career as a fashion model. 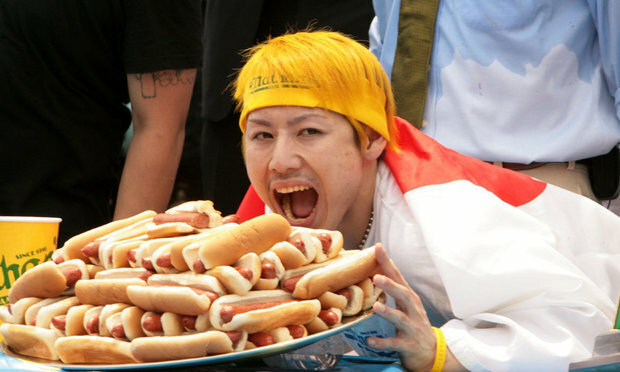 There are a number of pretty famous big eaters in Japan. The women are pretty popular and appear a lot on television. Now, on to my favourite big eater. She is Yuuka Kinoshita. She has appeared in a bunch of TV shows that featured Japanese big eaters but she never stood out? I found out later that she doesn't really like competitions and likes to eat at her own pace (which is still pretty fast). She also has her own YouTube channel! She basically just uploads videos of her eating large portions of food. 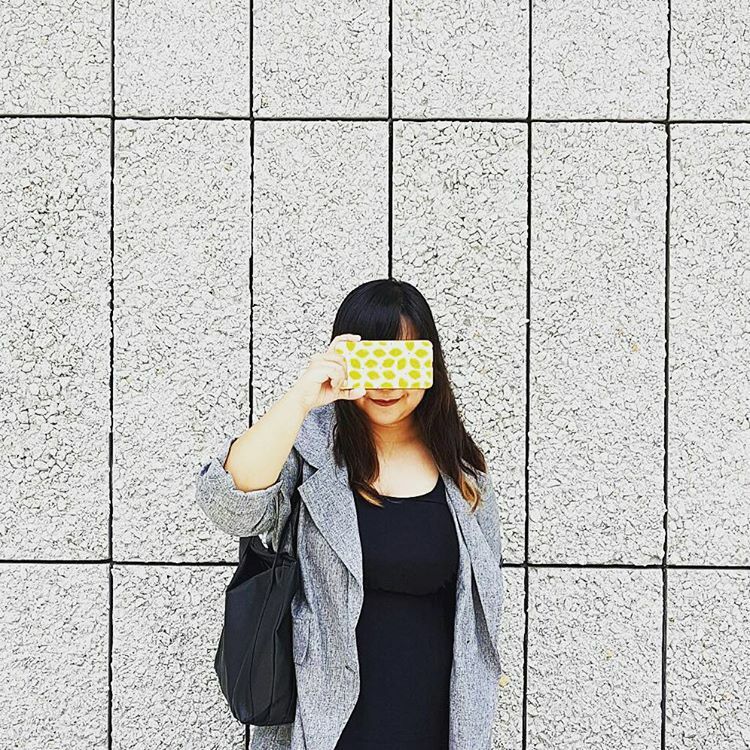 Many of her new videos have English subtitles so you non-Japanese speakers can enjoy it too! 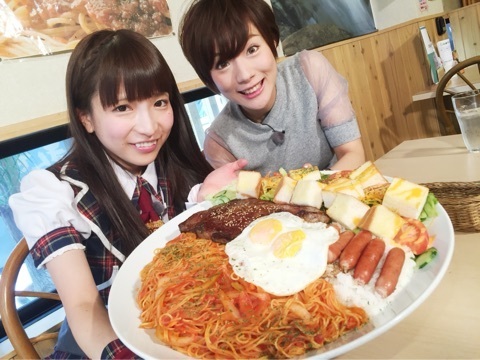 Yuuka also explained in one of her videos how she could eat so much. Apparently, she has a very flexible stomach, which just keeps expanding no matter how much she eats. In fact, it expands so much that it actually pushes on her diaphragm and she can feel her breath getting shorter the more she eats. BUT because her stomach is so flexible, she doesn't have to eat a large amount all the time. In fact, she can go by with the same amount of food regular people eat. Now, how on Earth is she still skinny? Well, her body is built to handle the large amount of food she eats. But she also has a hyperactive digestive system. This means that all that food she puts away isn't all digested fully and just flies through her system, which means lots of toilet breaks. ➤ Can you eat more than these girls?